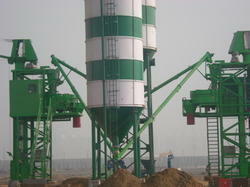 Offering you a complete choice of products which include cement silo dust collector, cement silo and cement silo 100 mt. Owing to vast domain expertise, we deliver an exceptional array of Cement Silo Top Dust Collector that are performance oriented and ensure smooth finishing. Our entire range is delivered with varied thickness and sizes. We are blessed by advanced techniques and latest methodologies that ensure the timely delivery of the entire consignment with perfection. Cement Silo Top Dust Collector is easy to use in suitable applications. On account of our rich experience, we are counted amongst the most reliable manufacturers and suppliers of Cement Silo. Silos offered by us are manufactured at our unit by making use of supreme quality of mild steel and sophisticate machines. Robust construction, durability and high quality are the salient features of our offered range of silo. Cement Silo provided by us is widely used in cement industries for storing cement upto the capacity of 100 ton. Bharat Engineering specializes in manufacturing and supplying a qualitative range of Cement Silo, Cement Storage Silo, Cement Silo Vertical, Cement Silo Bolted, Cement Silo 50 Ton, Cement Silo 75 Ton, Cement Silo 100 Ton, Cement Silo 150 Ton, Cement Silo 200 Ton, Cement Silo RMC Plant, Cement Silo AAC Plant. The offered Cement Silo range is manufactured using high-grade material at our multifaceted infrastructure facility that is equipped with latest machines. 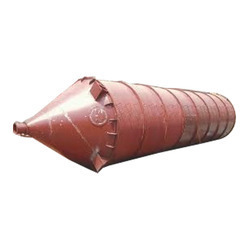 Bharat Engineering is one of the leading manufacturers of Cement Silo 100 MT. We manufactured the same with superior quality raw material and under complete supervision of our technical team. Theses are made with capacity of 20 to 200 M. T.
Our silos are well furnished and complete with all accessories used for its operation like Dust Collector, Screw Conveyor, Pressure Relief Valve, Level Indicator, Twin Lobe Air Compressor, Bulker Host Pipe, Monkey Ladder etc.